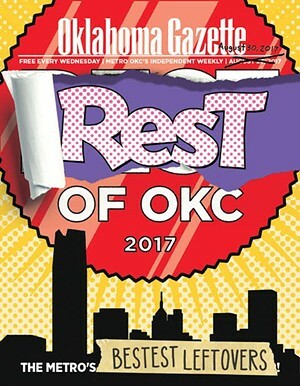 It's time for our annual Rest of OKC, in which the Oklahoma Gazette staff recounts the people, events and otherworldly phenomena that didnt quite make it into last weeks Best of OKC issue. P. 23 Our annual Rest of OKC, in which the Oklahoma Gazette staff recounts the people, events and otherworldly phenomena that didnt quite make it into last weeks Best of OKC issue. Cover by Christopher Street.